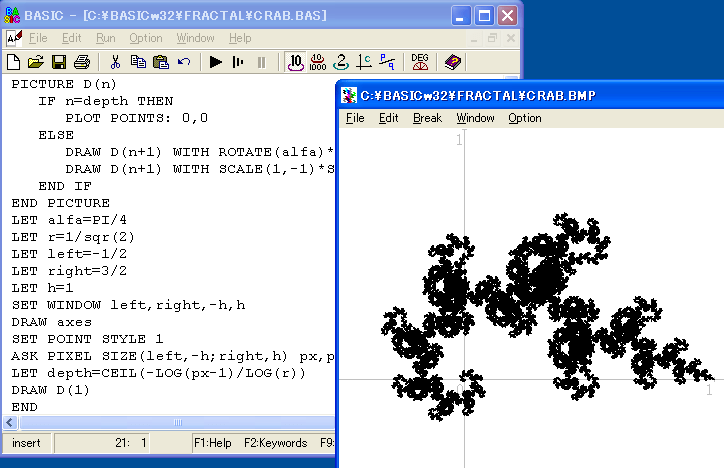 Decimal BASIC provides a full programming environment for the BASIC programming language. It implements almost all of the core module and the graphics module of ISO Full BASIC, which is the current international standard for BASIC. It comes with a built-in editor and debugger. How to extract: Download the ZIP package and extract to a folder of your choice. Launch BASIC.EXE. 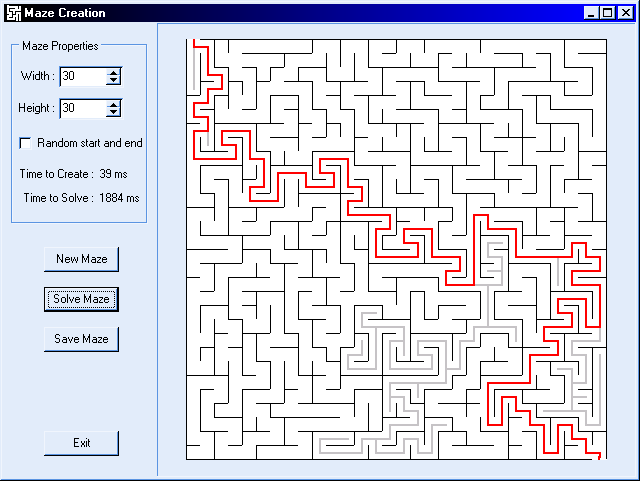 MazeBuilder is a maze generator. Possibly useful if you have to give a visual example of algorithms. MazeBuilder can also be used as a game. How to extract: Download the ZIP package and extract to a folder of your choice. Launch Mazes.exe. 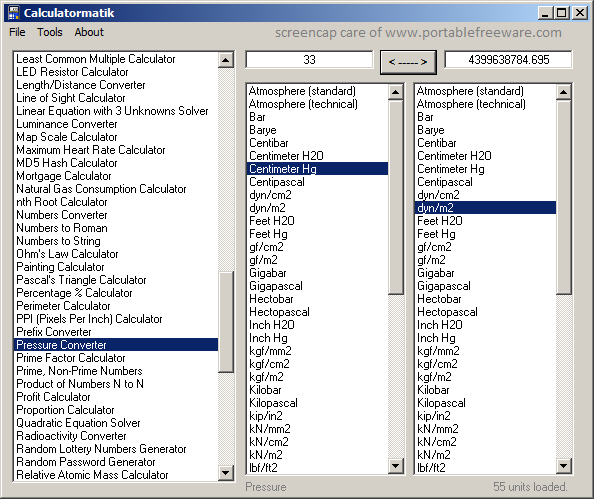 Calculatormatik is a math tool that includes a broad variety of calculators and converters from common to unusual. Some examples include angle converter, area calculator/converter, binary to number, body mass index, body Surface area, numbers to Roman, numbers to string, Ohm's Law, volume/weight, water consumption, and many more. Other tools include a random password generator, hex-to-ascii converter, and a stopwatch. How to extract: Download the ZIP package and extract to a folder of your choice. Launch Calculatormatik.exe. Line of Sight Calculator added. dBm to Watts added to Electrical Calculators. One of the most unusual programs on the site, it seems to do a little of everything. Vigenere+ is a text cipher application meant for entertainment and educational purposes. It enciphers and deciphers text using a keyed Vigenere cipher with a 100 character cipher alphabet and a key derived from your passphrase. How to extract: Download the ZIP package and extract to a folder of your choice. Launch Vigenere+.exe. XOR+ is a text cipher application meant for entertainment / educational purposes. It enciphers and deciphers text using a simple XOR cipher, followed by multiple transposition, homophonic substitution and obfuscation steps. This program is not intended to perform any actual security function. XOR+ is a modern variant of the decoder rings that used to come in cereal boxes: fun and not to be taken seriously. How to extract: Download the ZIP package and extract to a folder of your choice. Launch XOR+.exe. What's new? Fixed a glitch in new line character handling.